The volatility of climate change is increasing. It is bad news, and many climatologists, policy analysts and environmental groups regard the West as the largest contributor to the problems caused by climate change. This book raises questions concerning the systemic and cultural reasons for Western countries’ unwillingness to bear full responsibility for their carbon emissions. Is the Western paradigm failing? Can other cultures offer solutions? Are there alternatives for designing a better future? Just as the roots of the problem of climate change are cultural, the solution must be too. 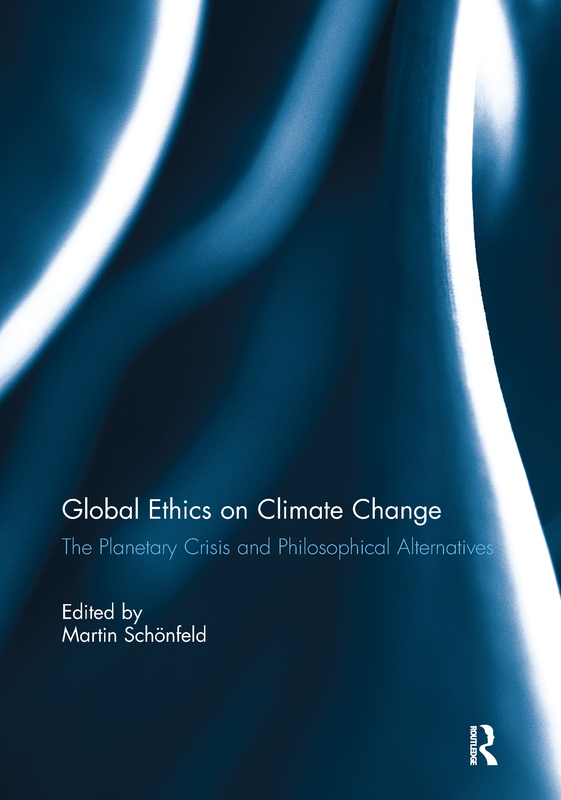 The contributors to Global Ethics on Climate Change explore cultural alternatives. This differs from conventional climate ethics, which tends to address the crisis with utilitarian, legalistic, and analytic tools. The authors in this volume doubt whether such paradigm patches will work. It may be time to think outside the box and consider non-Western insights about the good life, indigenous wisdom on being-in-the-world, and new ideas for civil evolution. This book is an examination of candidates for a Plan B. This book was published as a special issue of the Journal of Global Ethics. Martin Schönfeld is a former Kant scholar and historian of the European Enlightenment. He teaches at the University of South Florida and conducts philosophy workshops in Taiwan. He organized the first international philosophy conference on climate (2006) and edits the Climate Philosophy Newsletter. He writes on climate, the American Disenlightenment, and civil evolution.